Rampalli joined QLogic in February 2014, stepping into the CEO's hot spot months after prior CEO Simon Biddiscome had been released. CFO Jean Hu stepped into the interim CEO breach then and has been asked to do it again until a permanent replacement is found. Board director Director Christine King has been made the executive chairman, and will work with Hu to review the company's business opportunities. She has replaced long-term QLogic board chairman George Wells who joined in 1994 and became chairman in June 2014. King issued a PR blurb: “On behalf of the board, I would like to thank Prasad for his contributions to QLogic. We wish Prasad well in his future endeavours." Rampalli joined QLogic from EMC where he was the SVP for cross-business unit engineerting, and QLogic was his first CEO gig. 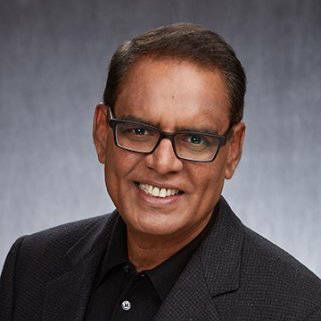 Prasad Rampalli, now ex-President and CEO at QLogic. There are various reasons why CEOs go - they are chopped when there is a profound disagreement with the board on strategy, malpractise or under-performance, they resign when there is some kind of personal or familial issue or they get a better offer. In the case of Rampalli, some weak results indicate he was asked to leave; last quarter's numbers were poor, with a warning issued beforehand. Rampalli said QLogic fell short of its expectations, some $19 million short. Revenues of $113.4 million were 5 per cent lower than a year ago period, with net income of $2.6 million being 57 per cent down on last year's Q1. QLogic said that demand for Grantley enterprise servers didn't materialize, news that would have been surprising to HP which just recently saw a boost in server sales from a Grantley uptick.